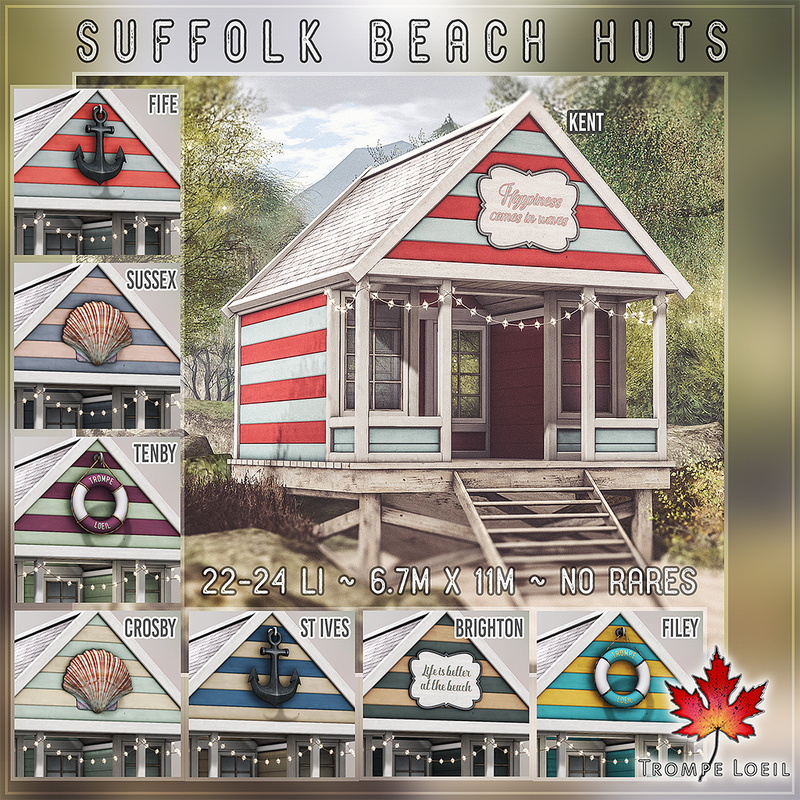 Late summer at the English shore – pick your color combo and your accent and escape with Trompe Loeil’s new Suffolk Beach Huts for The Arcade’s September round! The Suffolk Beach Huts are single room open beach huts with stairs, entry deck, stringlights, unique roofline accent (anchor, shell, life preserver, or beachy slogan sign), and fun color combos from reserved to bright and bold. 8 different styles to win in all, and as always, no rares! Available through the month of September, only at The Arcade!